A big exploring expedition has taken place on a mystic island, hidden from permanent storms. Two animals, so far unknown to the human race have been caught and imprisoned on the island, to become the biggest attraction of the 21 century. These two animals have been put in to boxes and loaded on a ship directed towards civilization. One species is a tender big eyed animal called “rorrpi” and the other species is a little bad tempered dragon called “dwarf dragon”. The problem is that the explorers decided to put the animals on the same ship, not knowing that the two species are sworn enemies since immemorial time. The proud dwarf dragons sensing the presence of the rorrpies will try to escape during the whole trip, in order to hunt down the scared rorrpies. 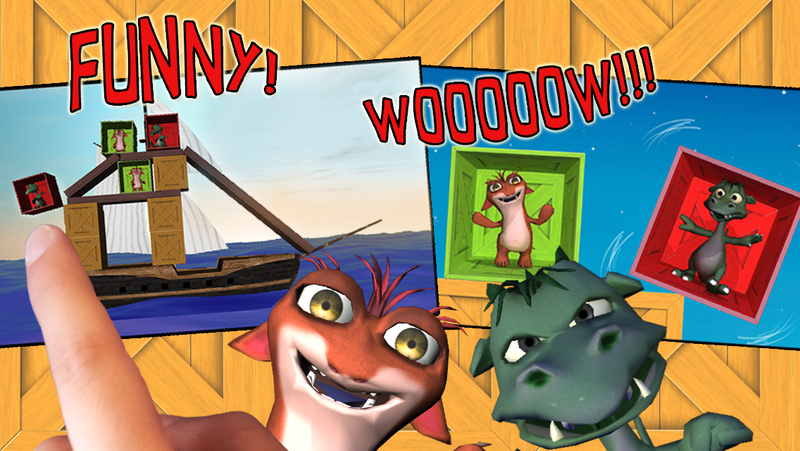 Your task is to save the rorrpies by blowing up the brown wooden boxes and planks that separate the two beasts from each other, in order to make the dragons fall into the water. 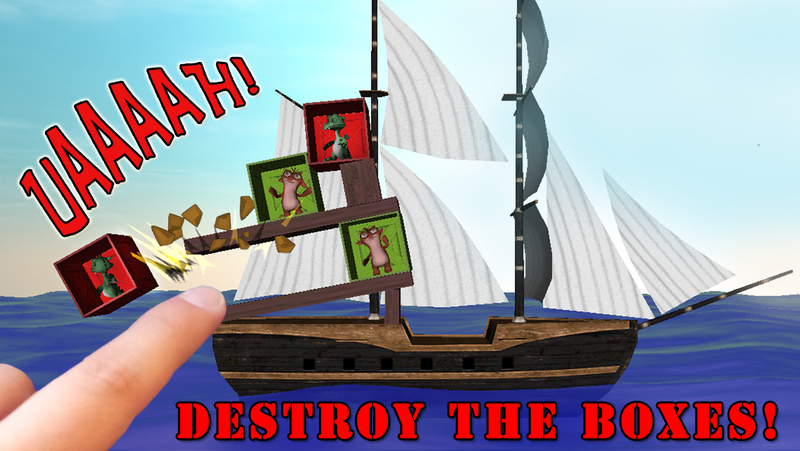 It will not be an easy task, as you have to pay attention that you do not throw the wrong boxes overboard by mistake. 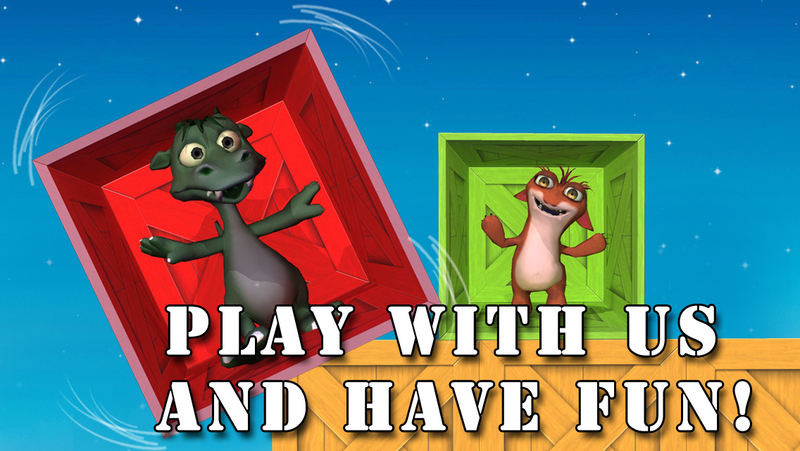 Choose your moves carefully to get on with the levels and pay attention to the wooden planks between the boxes. Train your brain and increase your IQ in this free puzzle game. Advise: You cannot blow up the red and green boxes. A new amazing physics puzzle game hit the market for your entertainment!